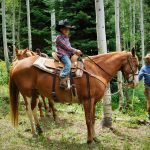 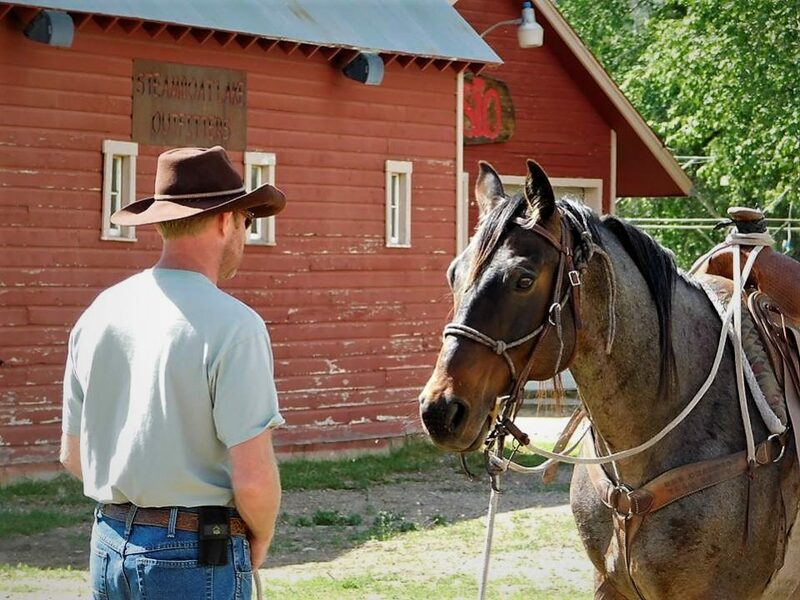 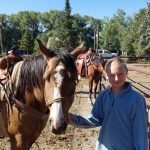 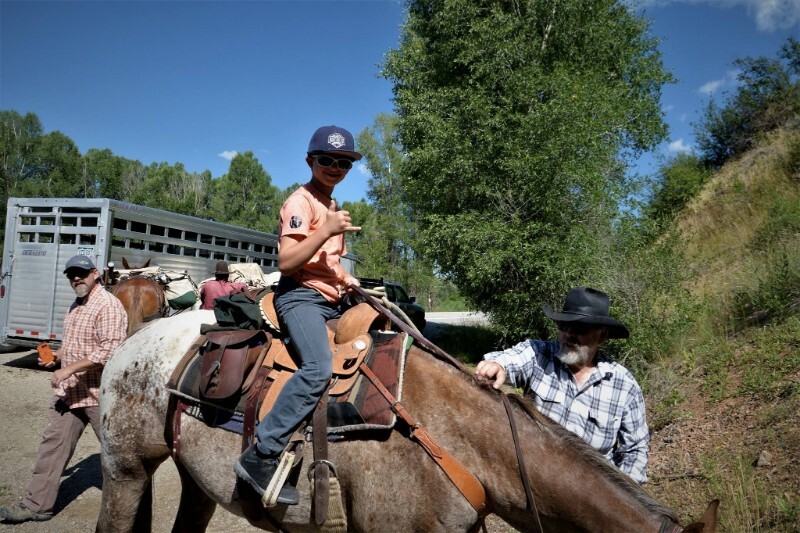 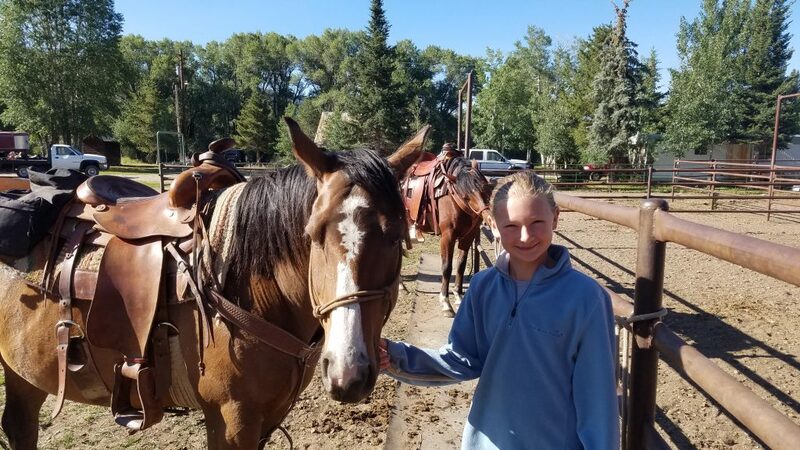 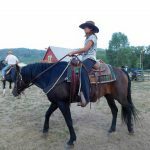 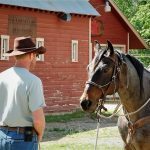 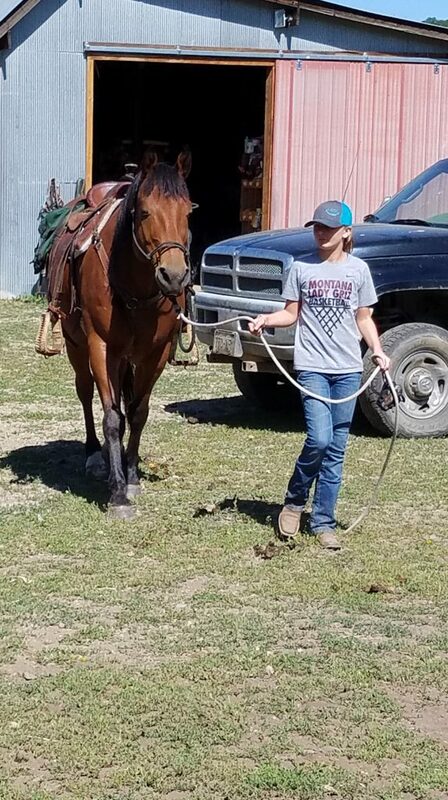 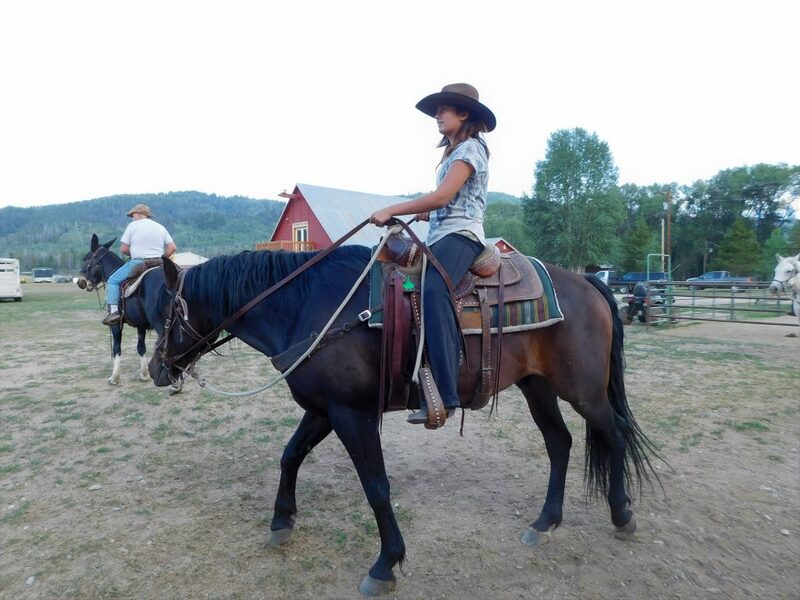 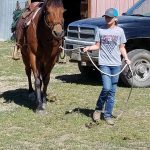 Our horses and mules are gentle and are suited for beginner to experienced riders including children. 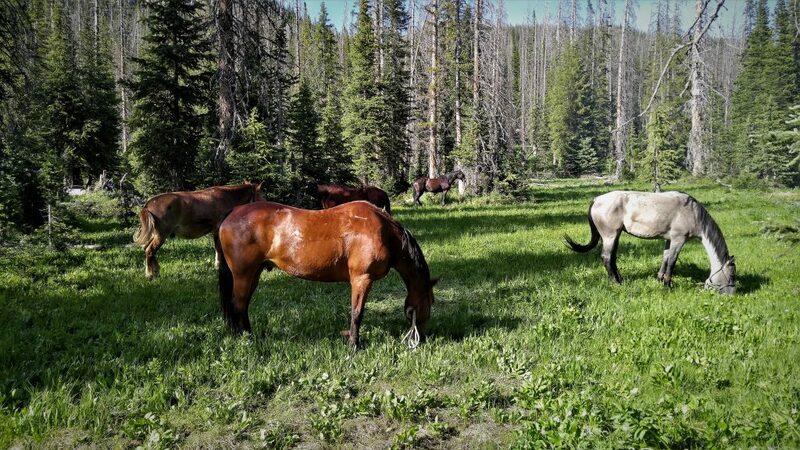 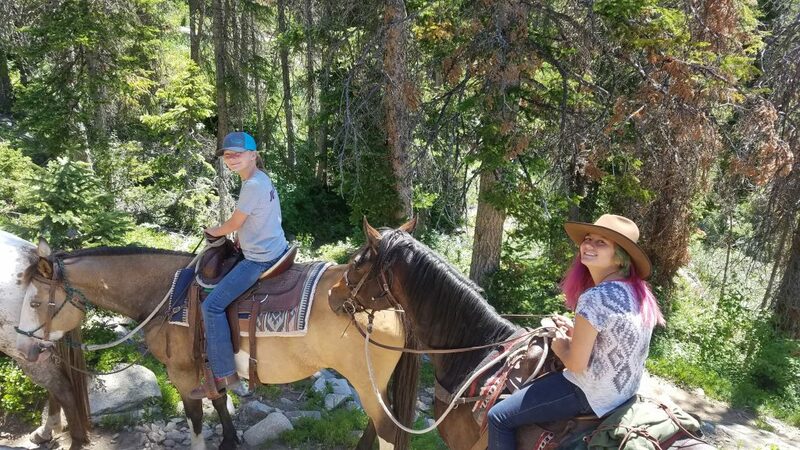 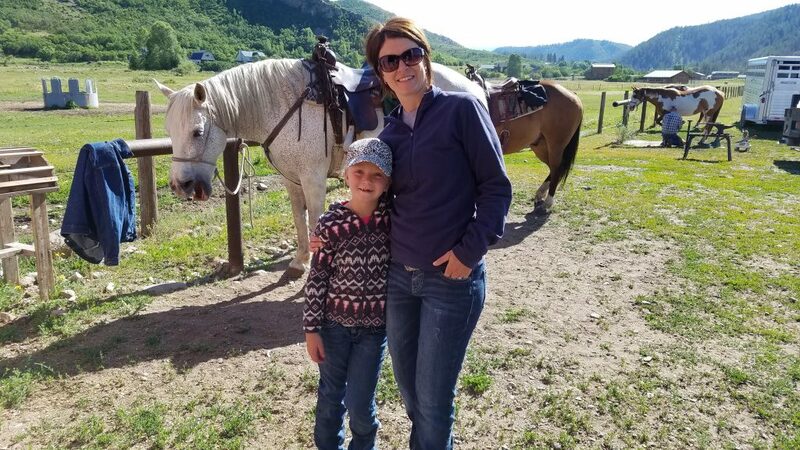 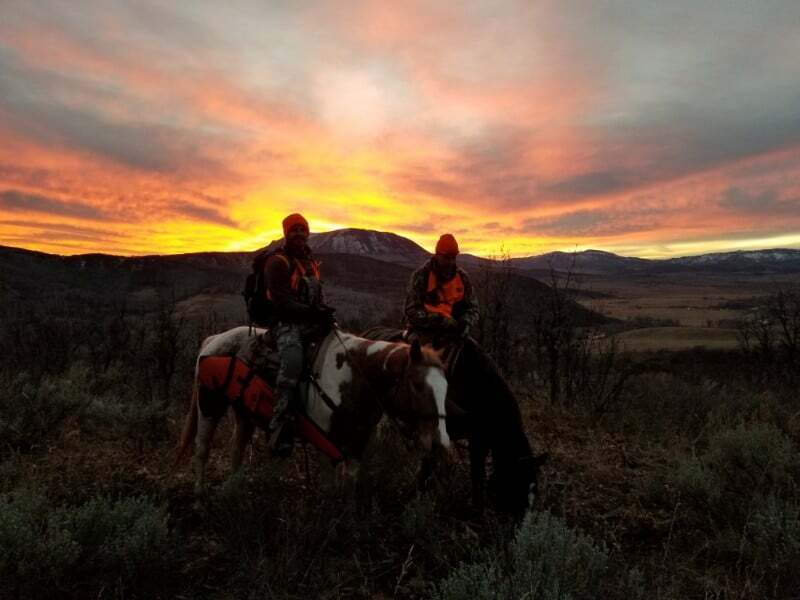 Native mountain horses, they are sure-footed and allow for a western experience of scenic mountain views, meadows of wildflowers and wildlife. 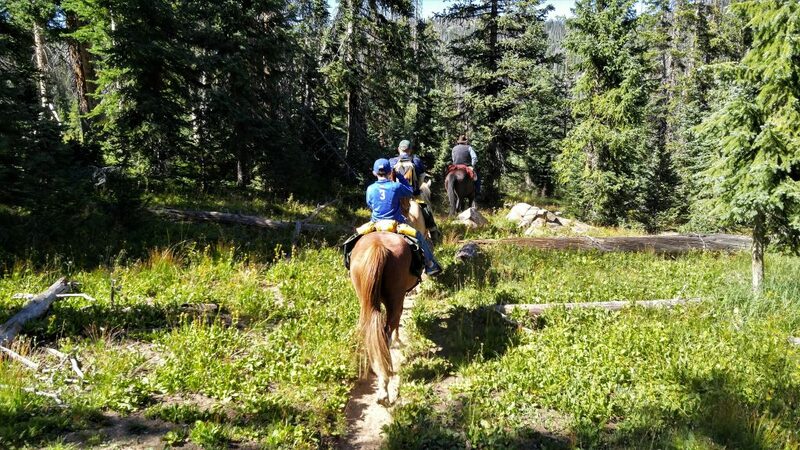 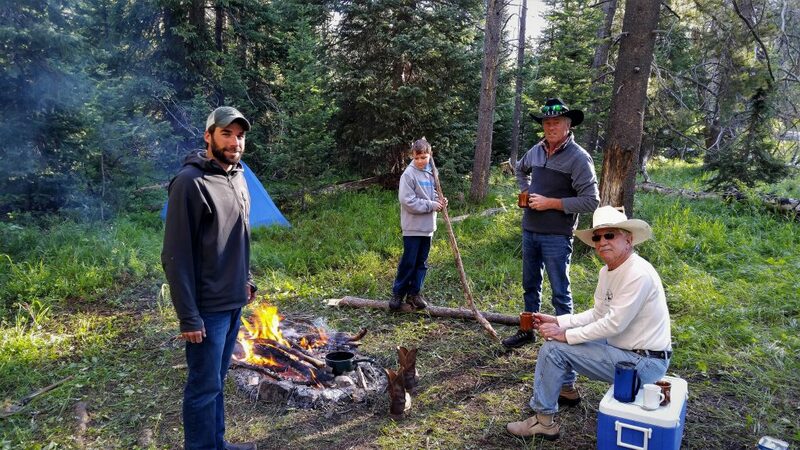 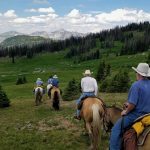 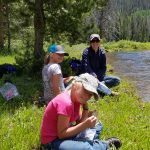 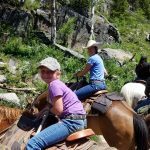 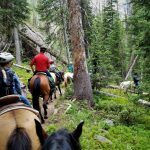 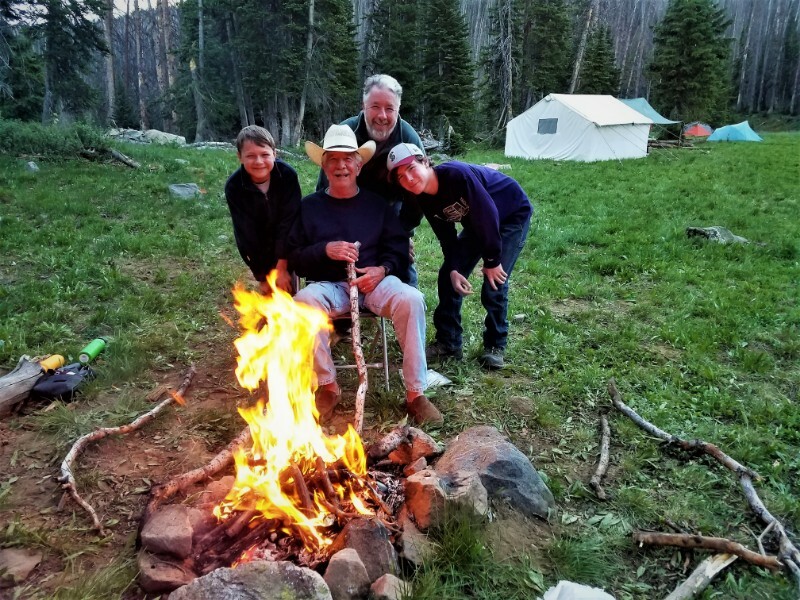 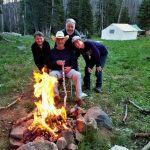 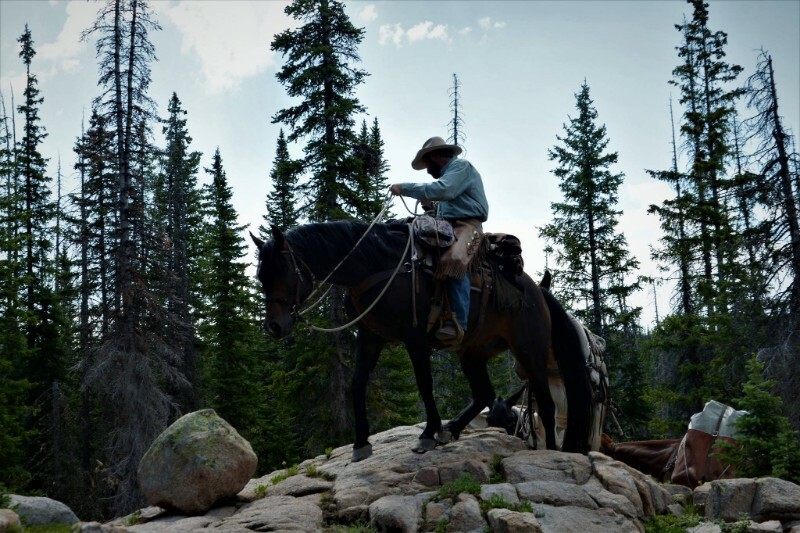 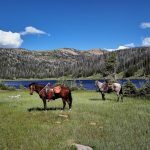 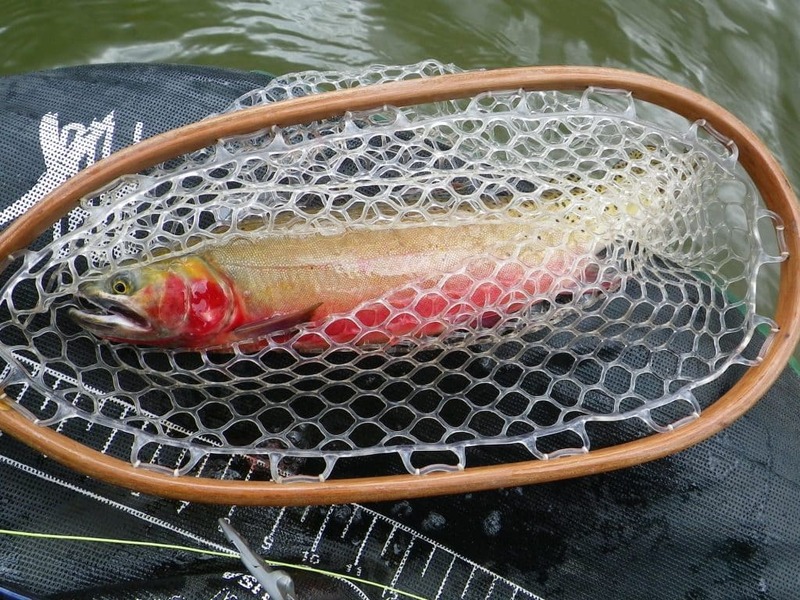 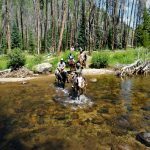 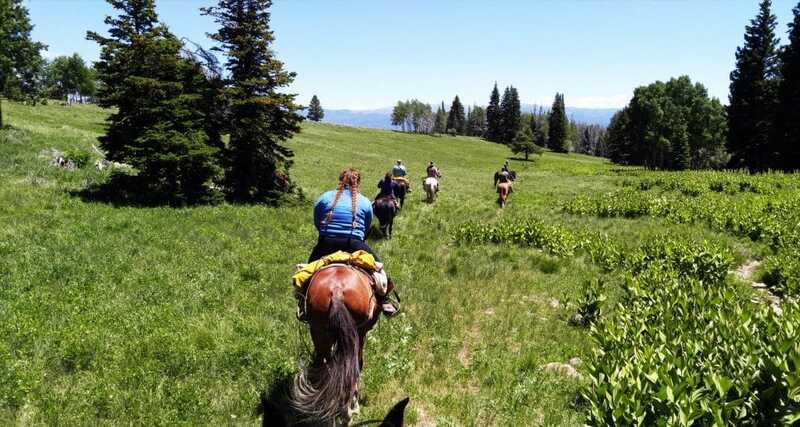 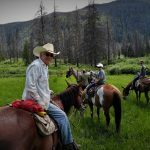 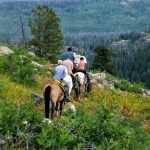 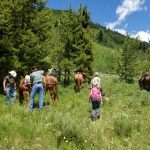 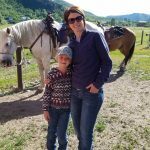 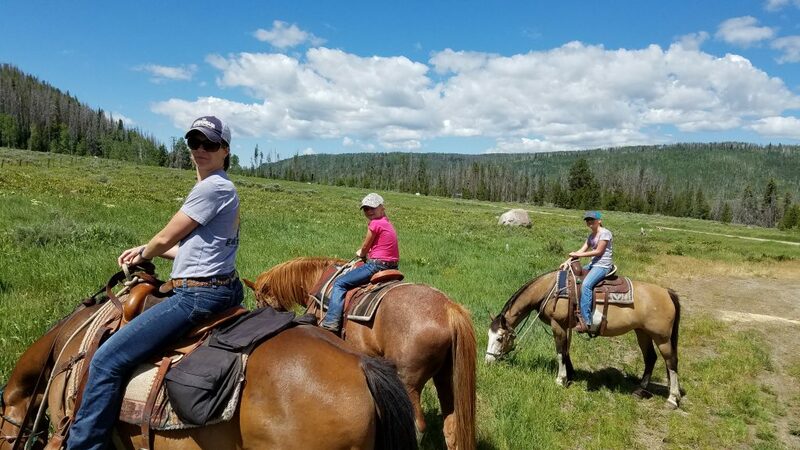 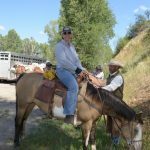 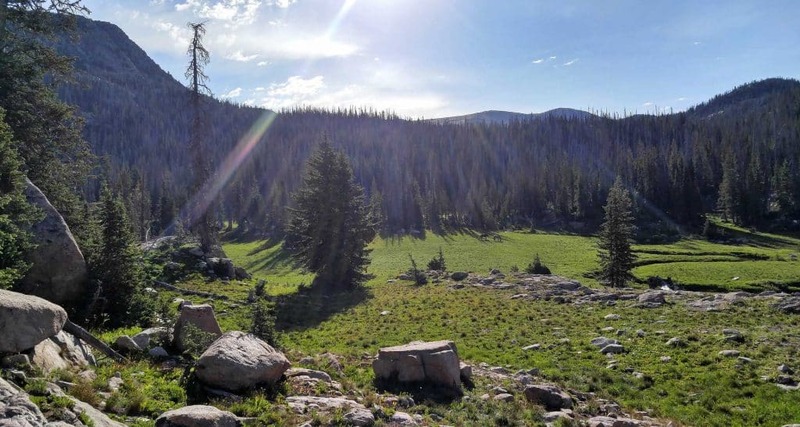 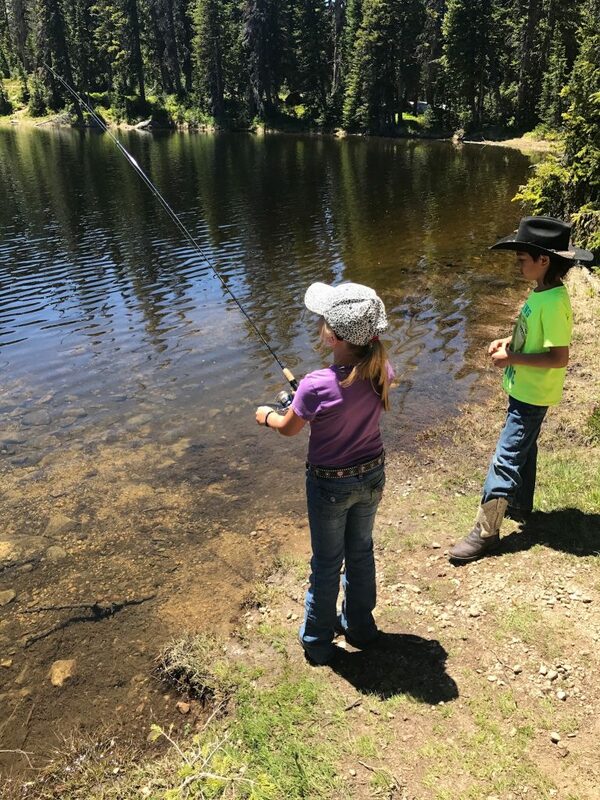 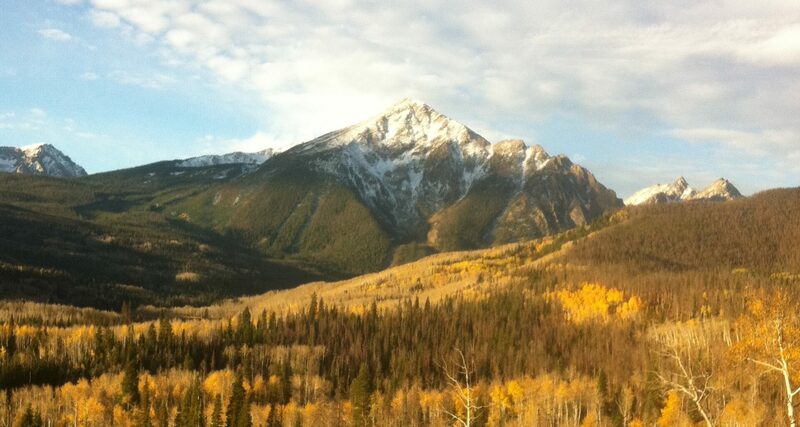 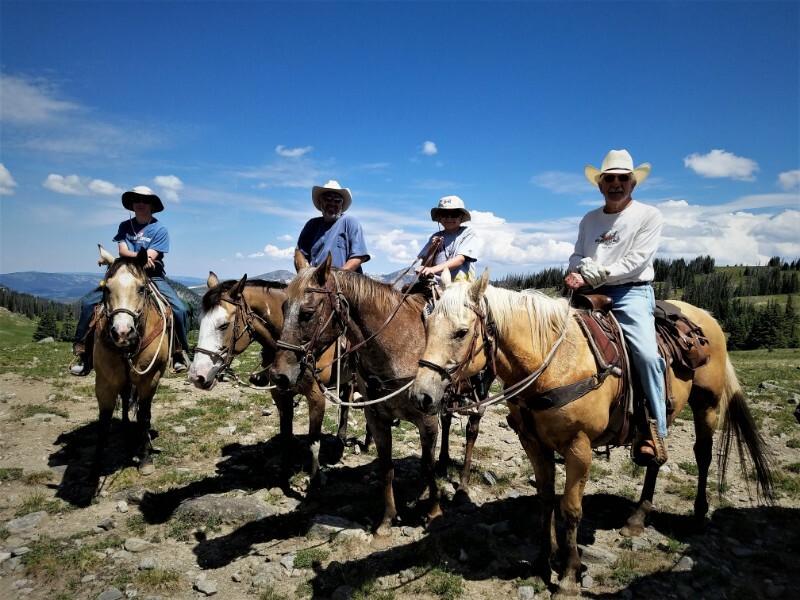 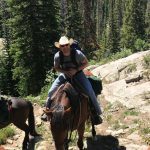 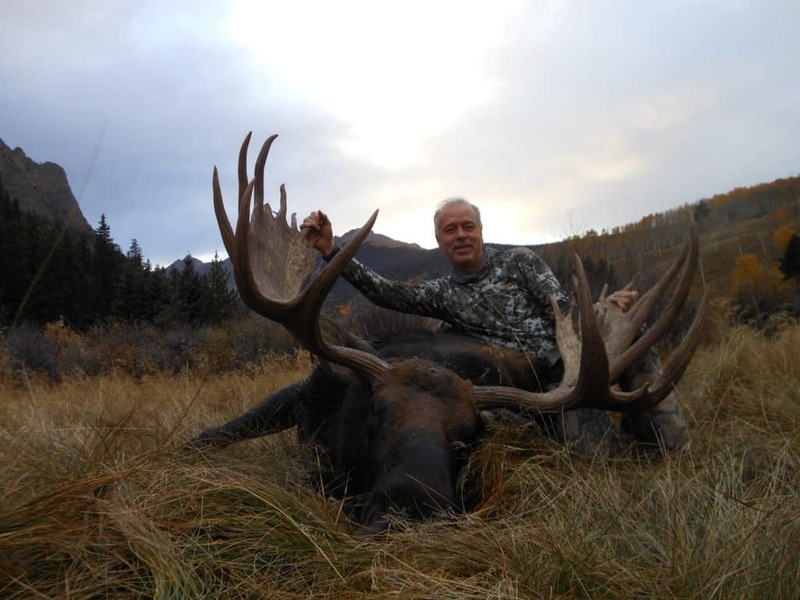 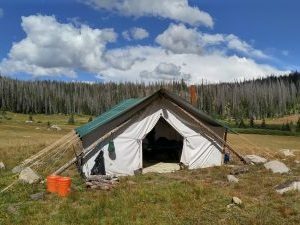 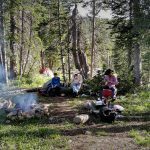 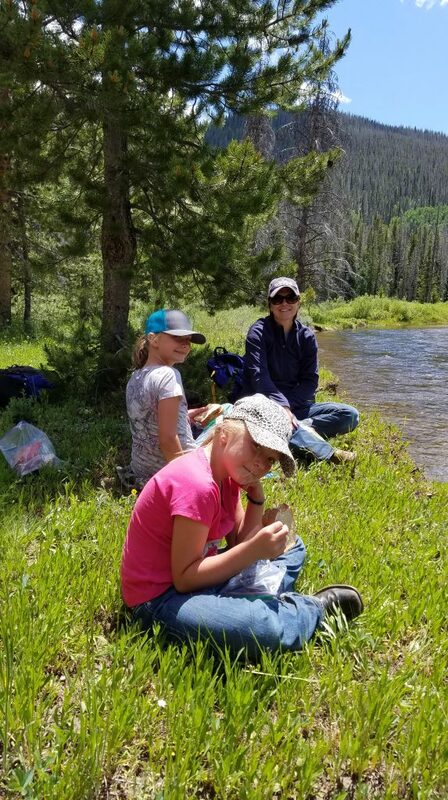 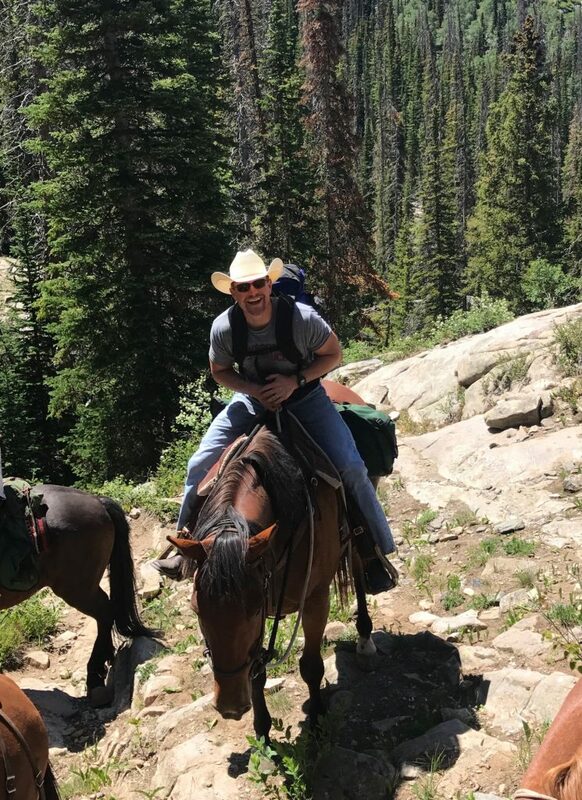 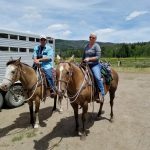 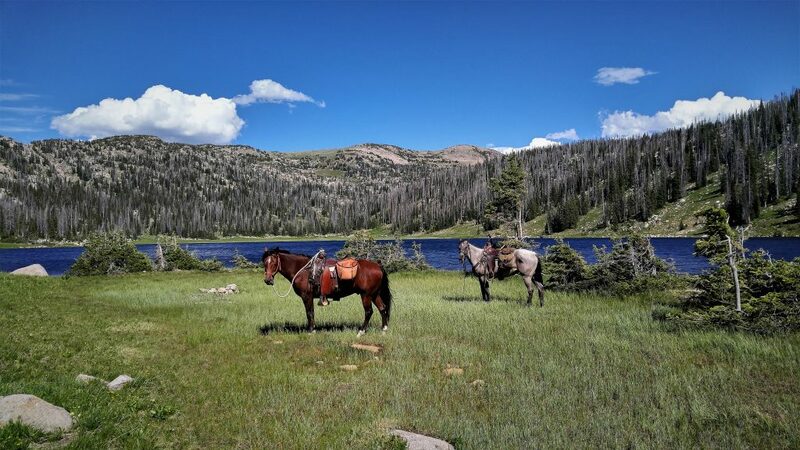 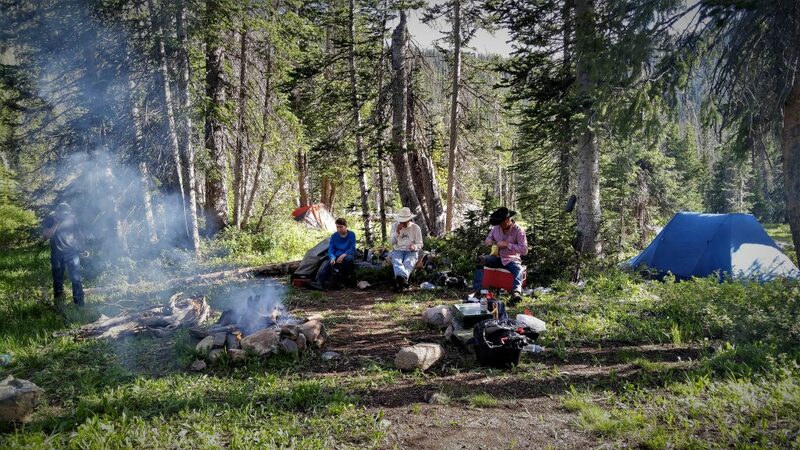 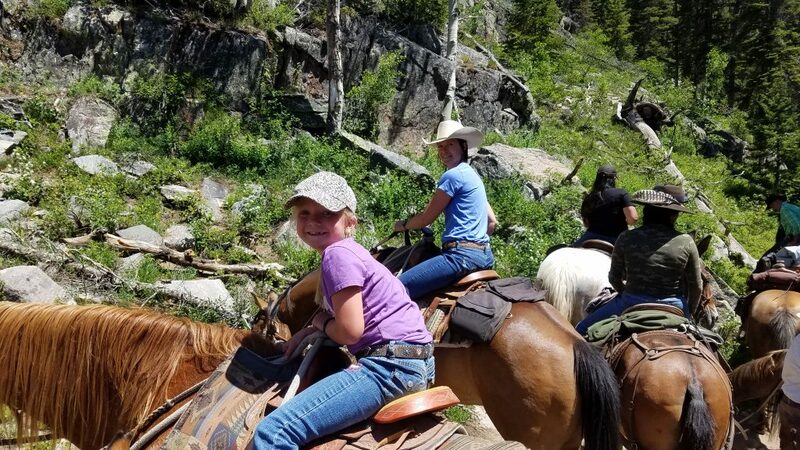 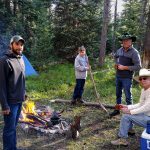 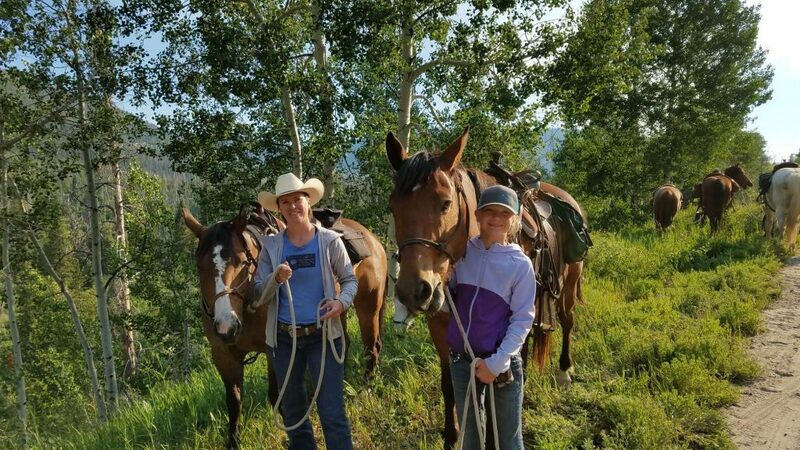 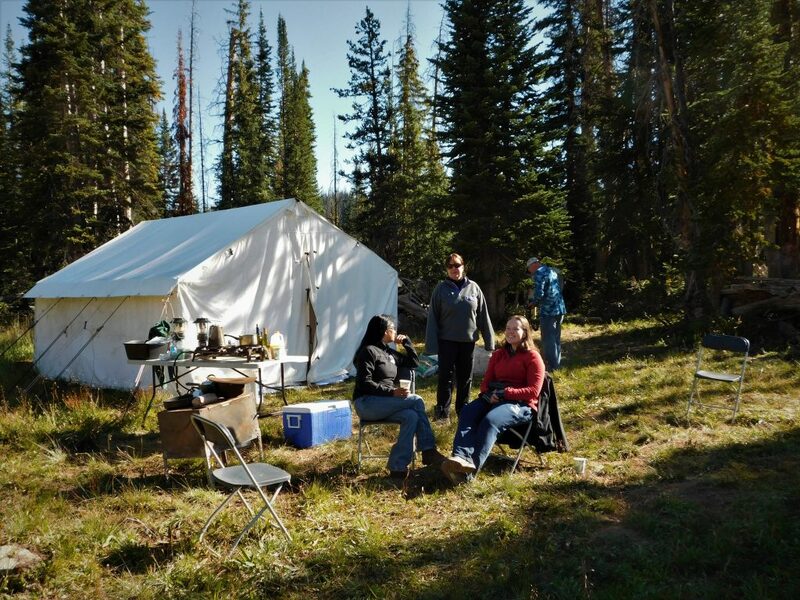 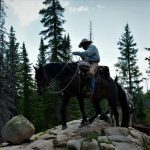 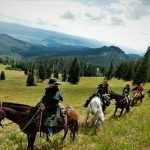 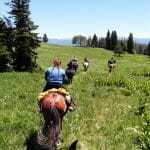 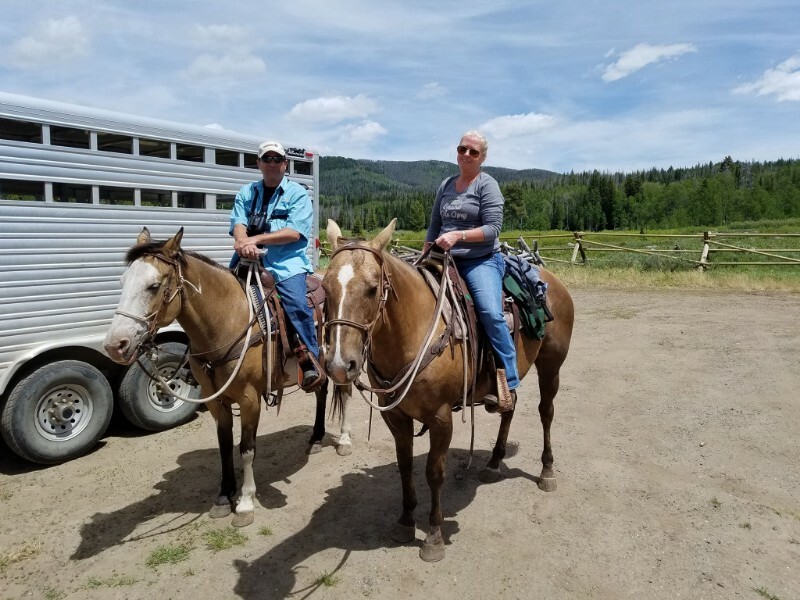 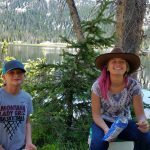 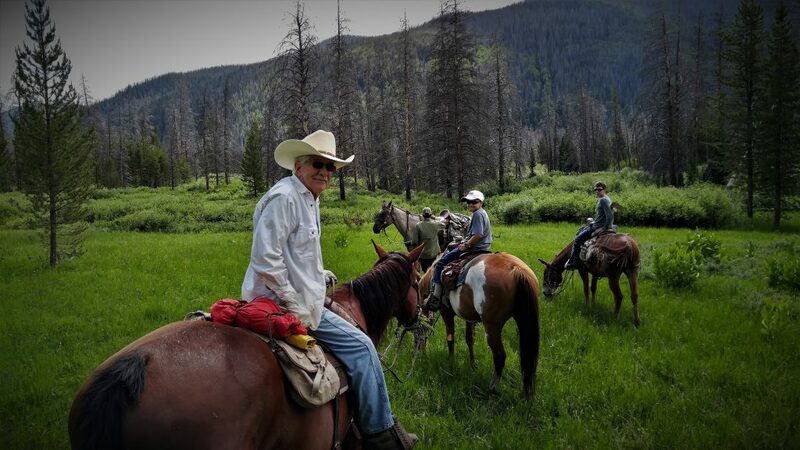 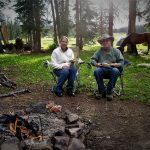 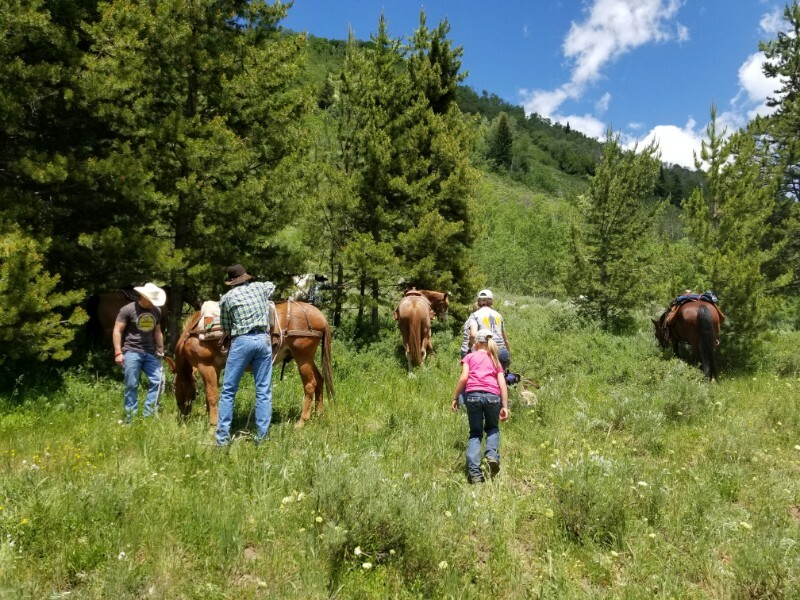 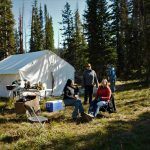 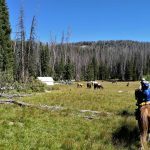 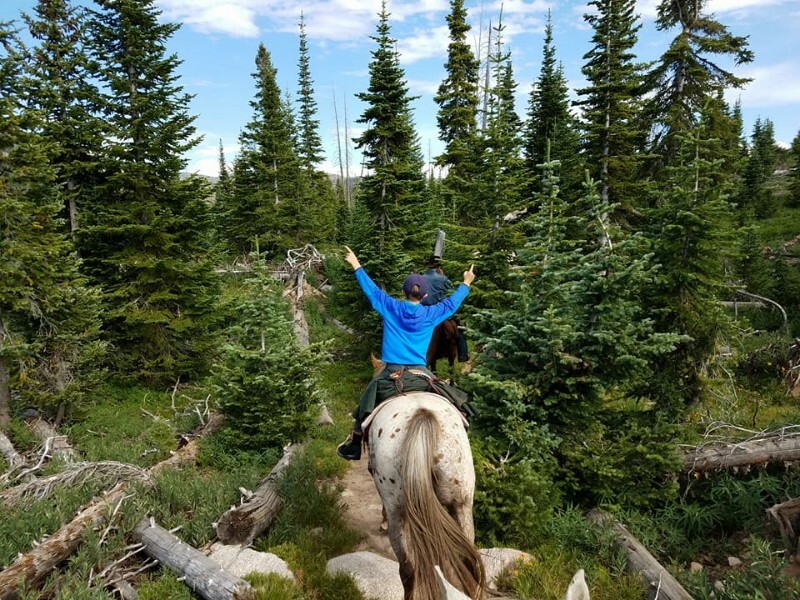 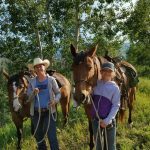 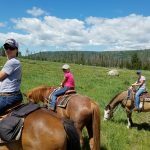 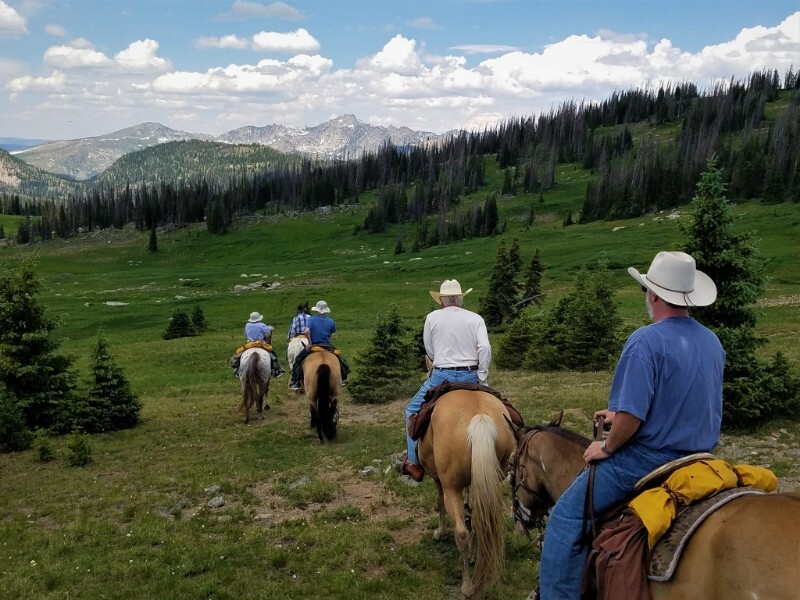 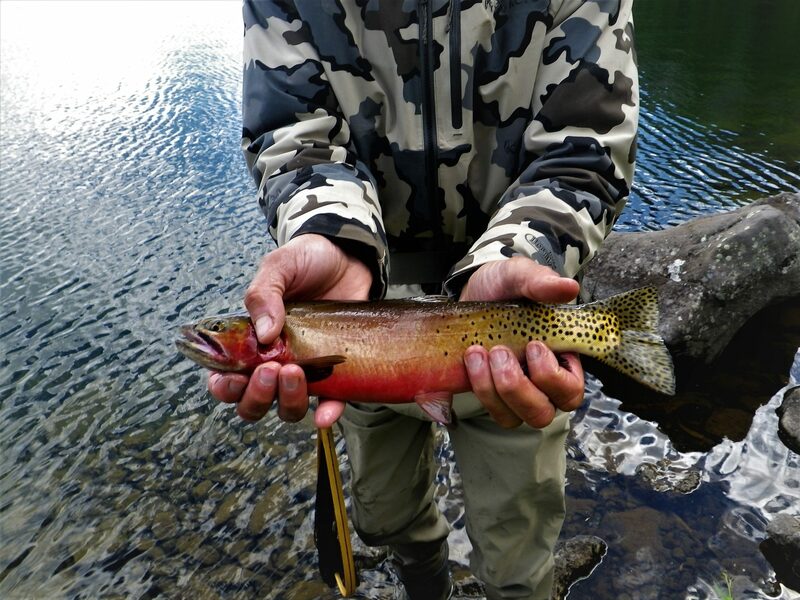 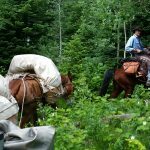 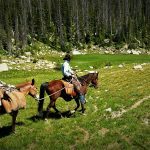 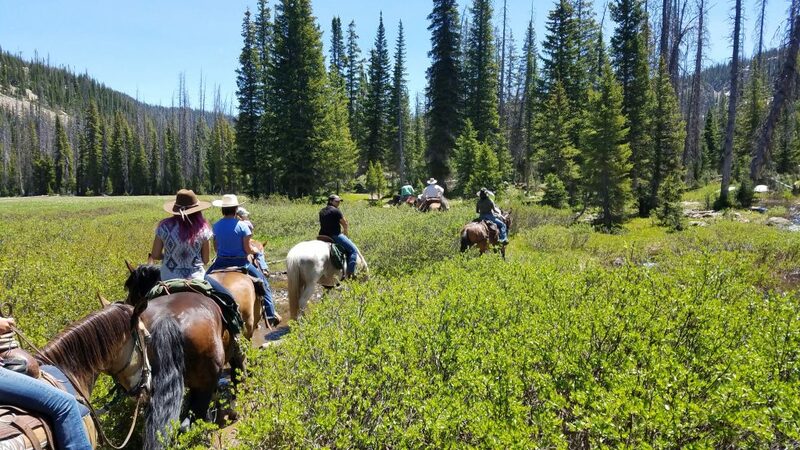 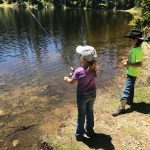 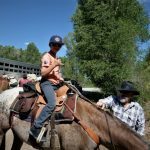 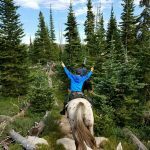 We ride along the foot hills and high peaks of the Routt National Forest and the Mount Zirkel Wilderness. 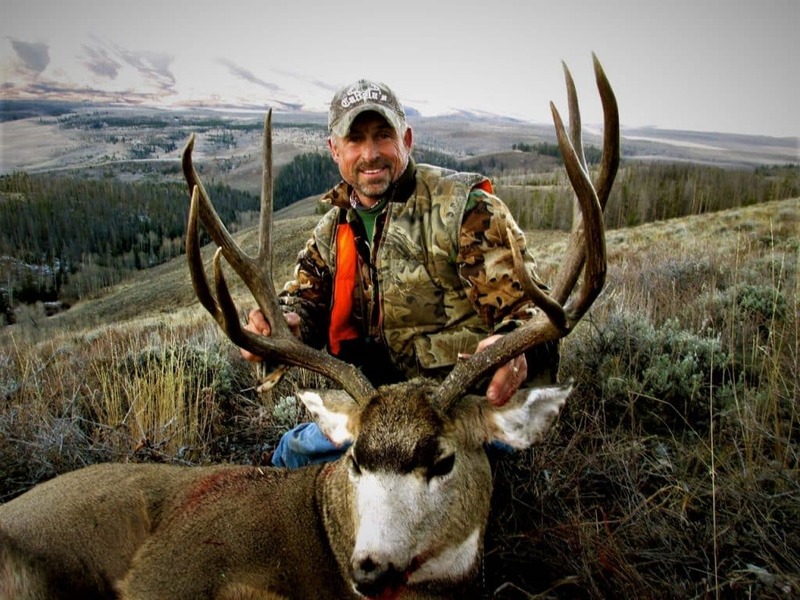 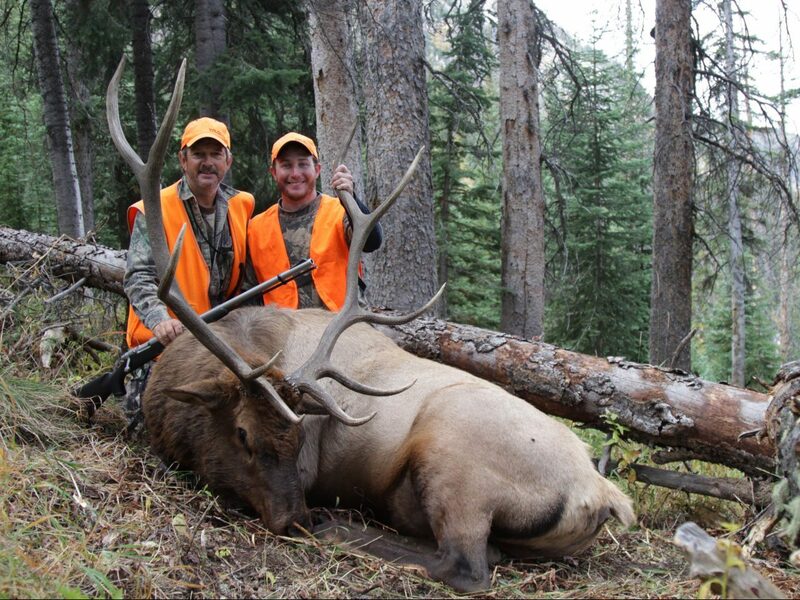 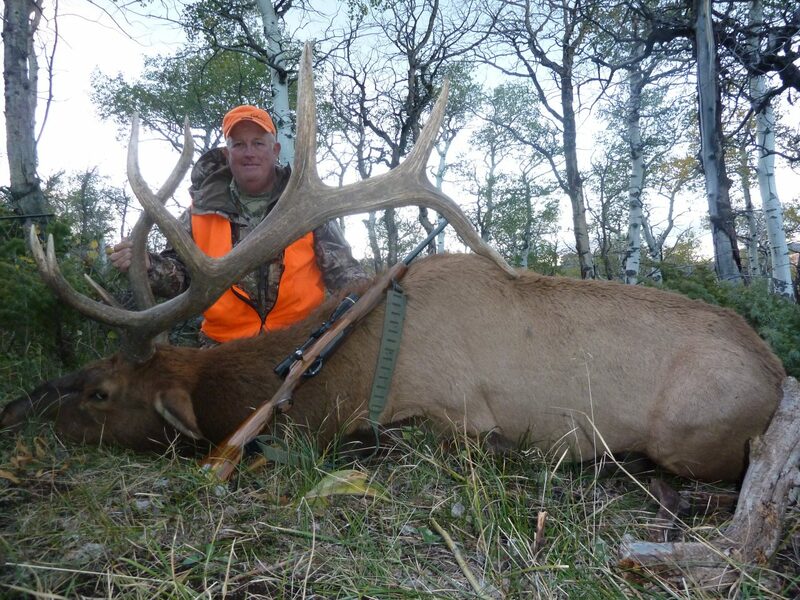 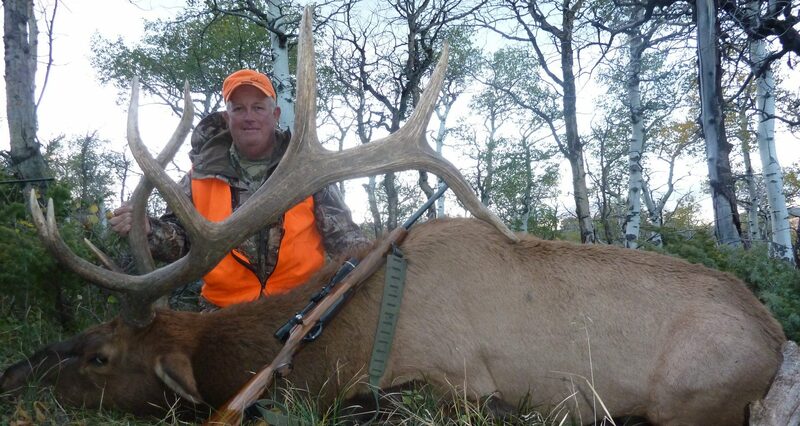 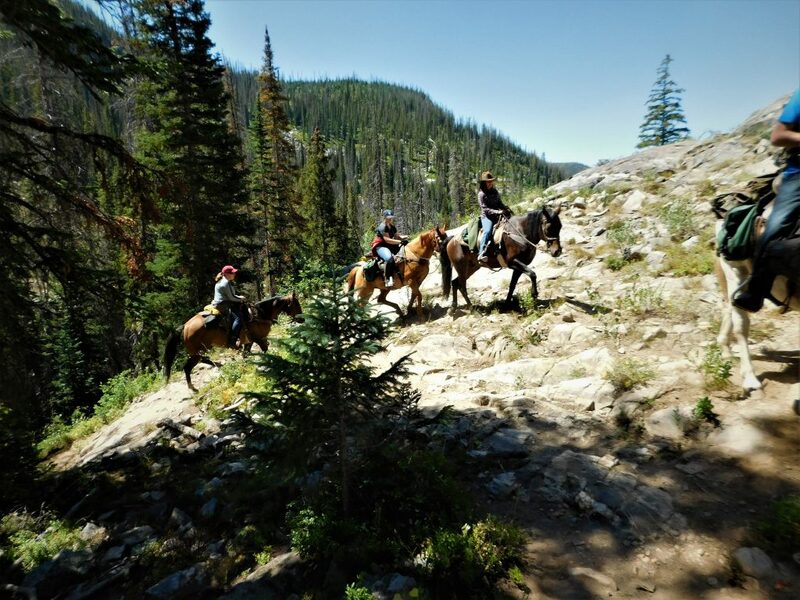 Our rides have the reputation for being some of the best in the area. 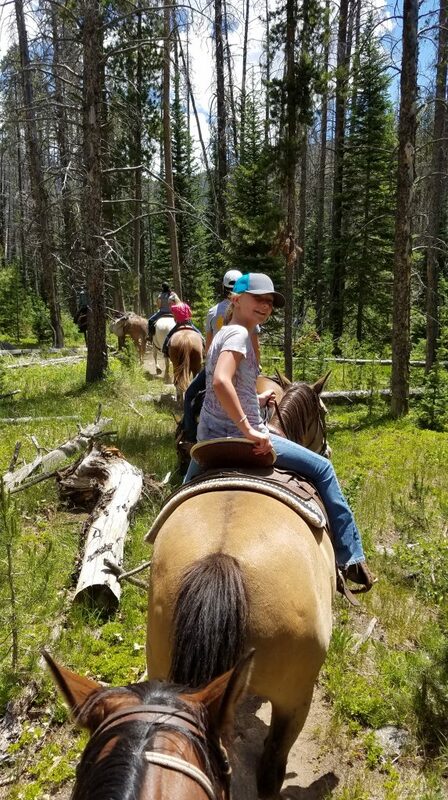 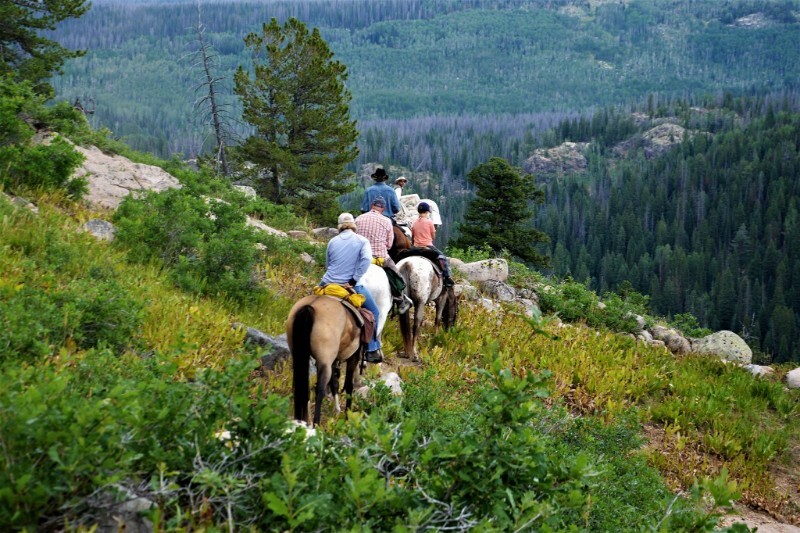 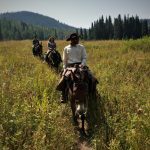 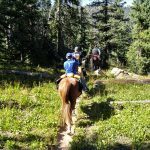 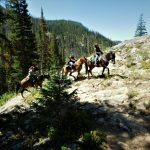 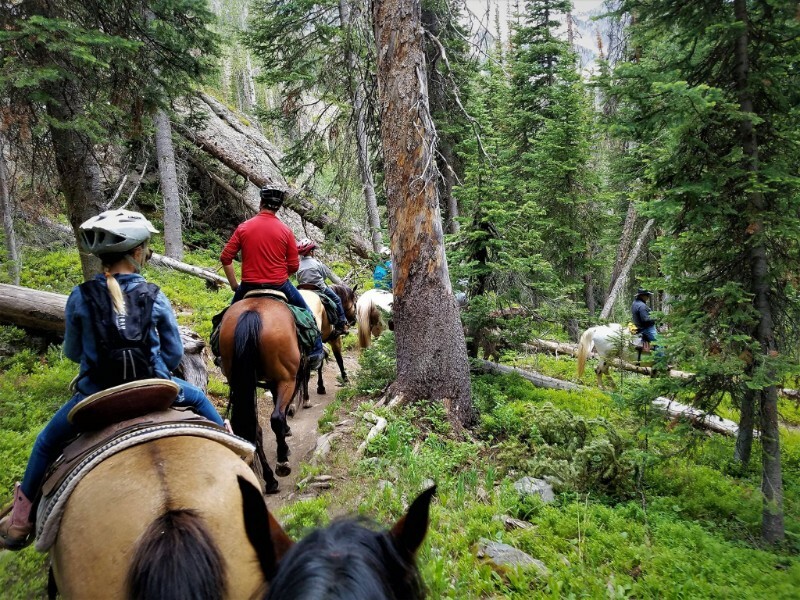 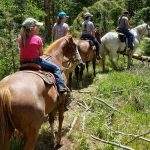 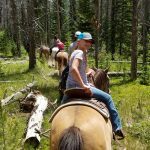 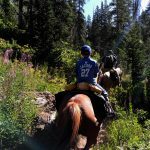 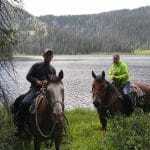 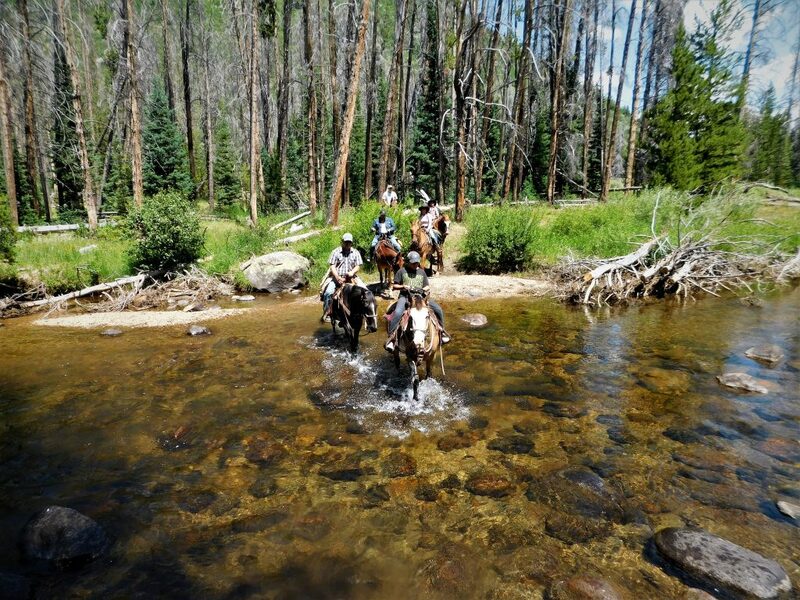 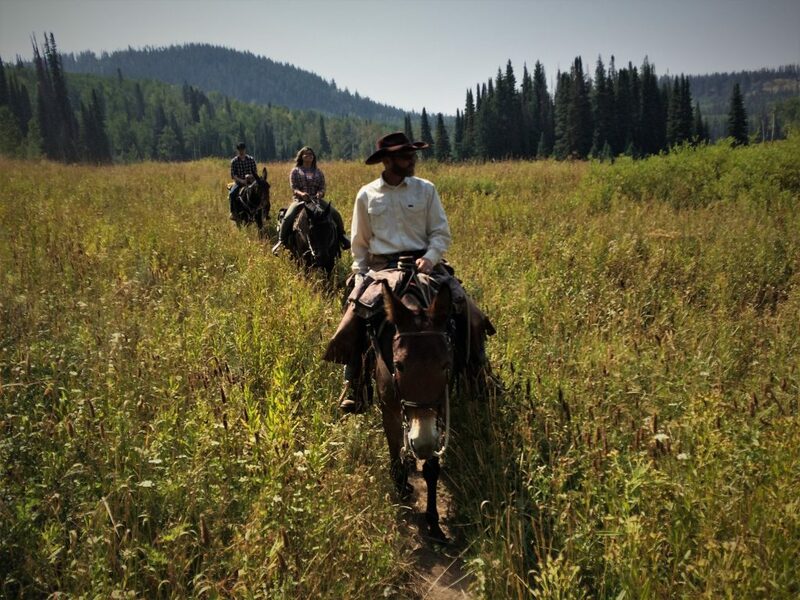 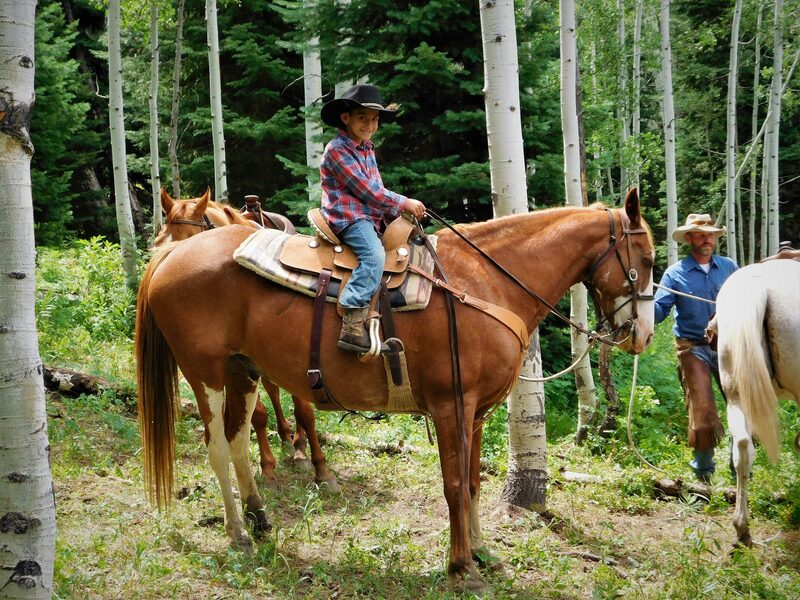 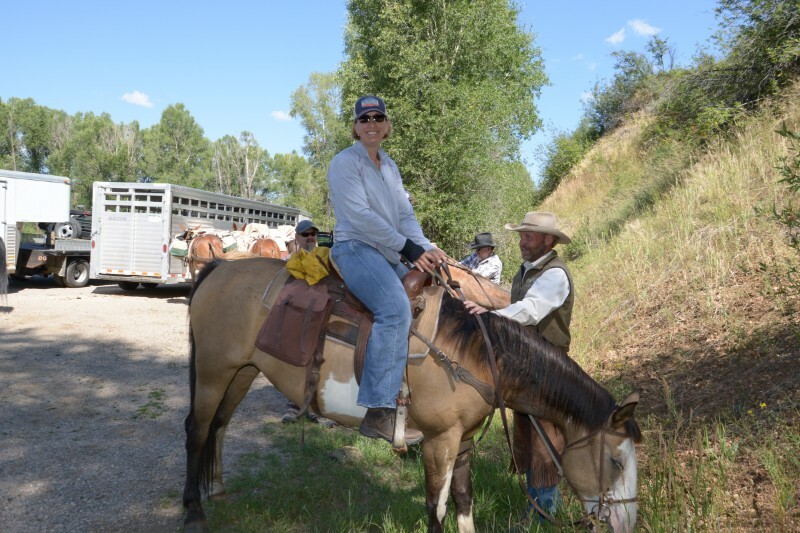 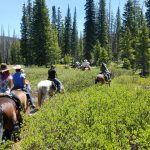 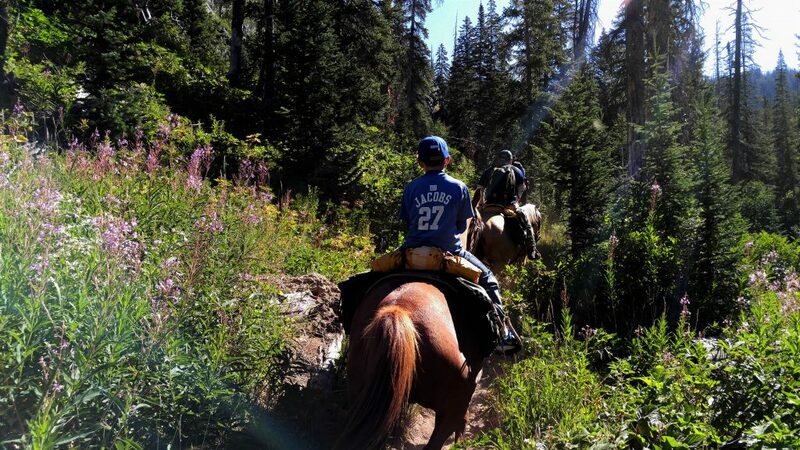 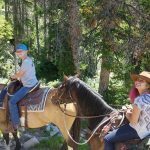 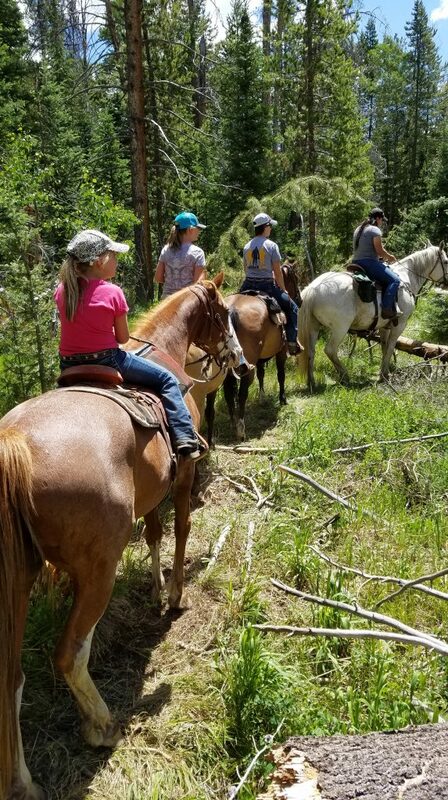 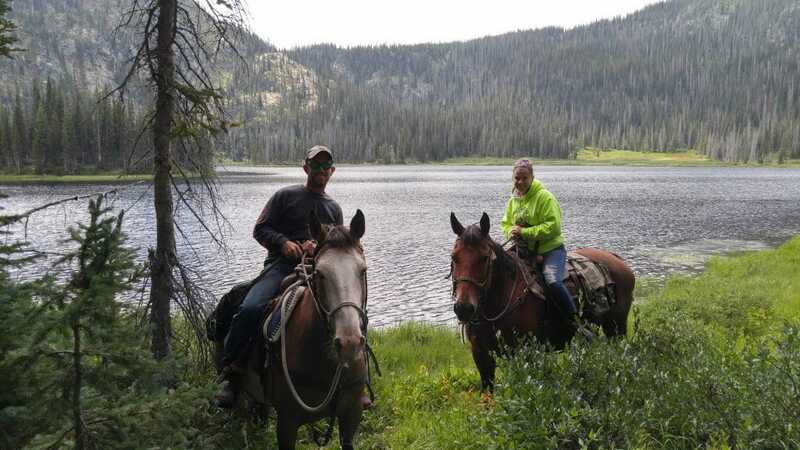 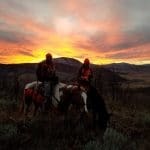 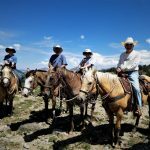 Horseback tours are guided and specialize in scenic rides with personalized attention. 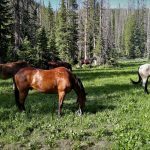 An ideal group size is no more than 4-6 horses; however, larger groups can also be accommodated on an individual basis. 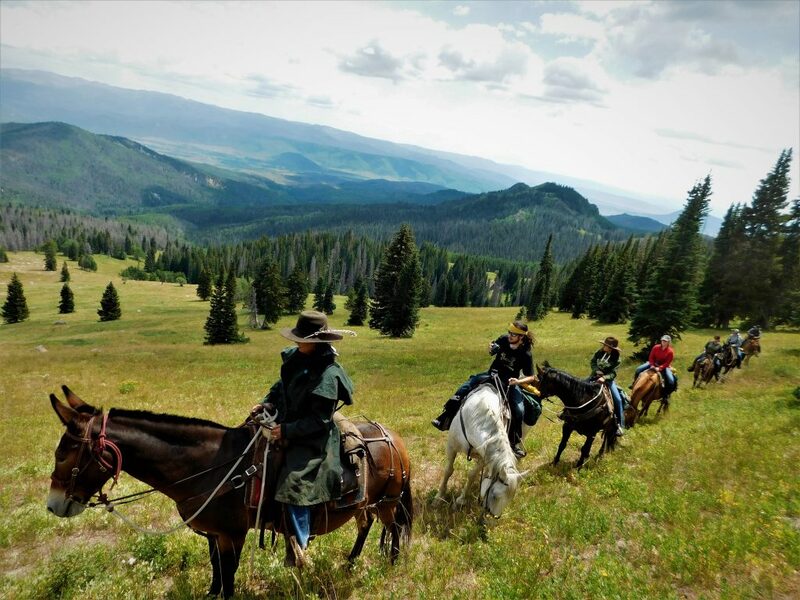 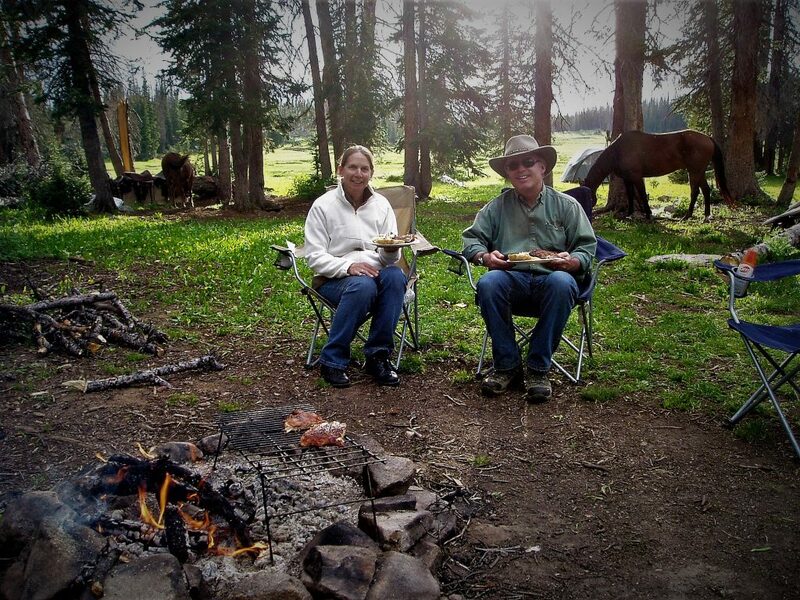 We offer both half day and full day rides as part of our local horseback expeditions offerings. 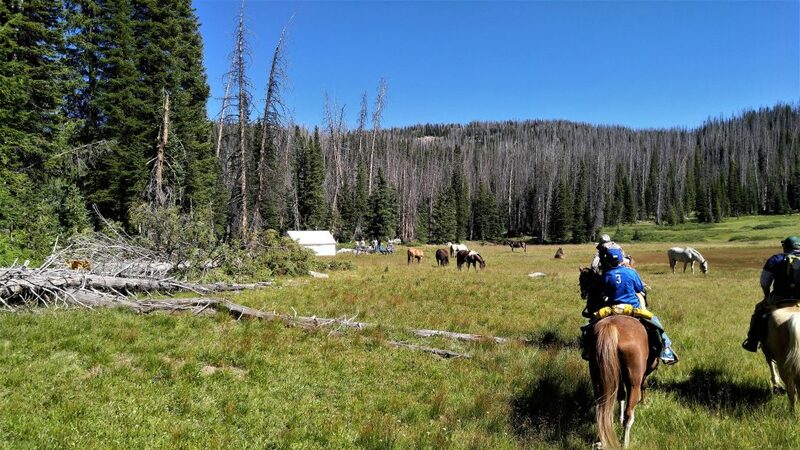 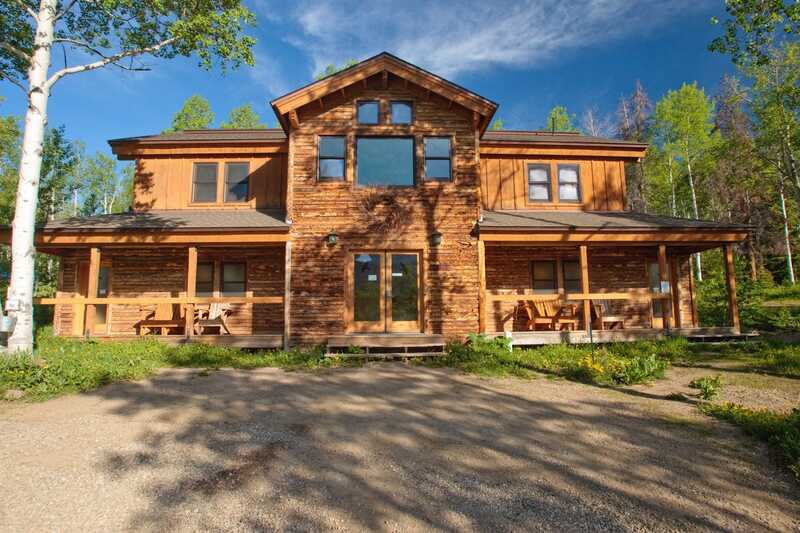 For those interested in multi-day rides staying with us at our base cabins may be an option. 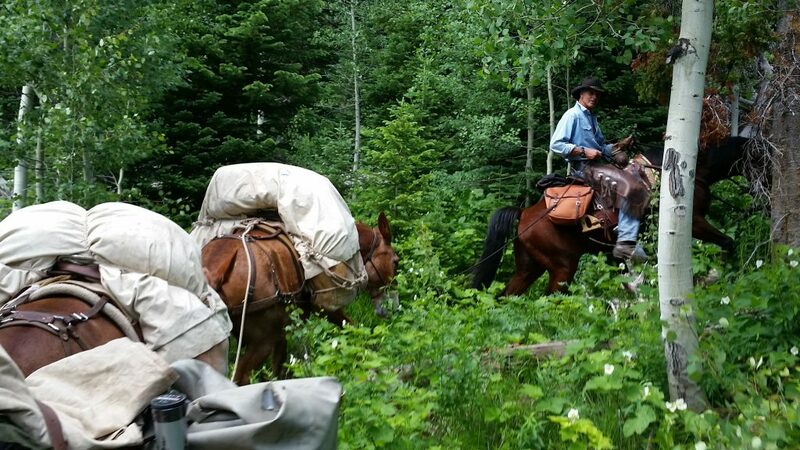 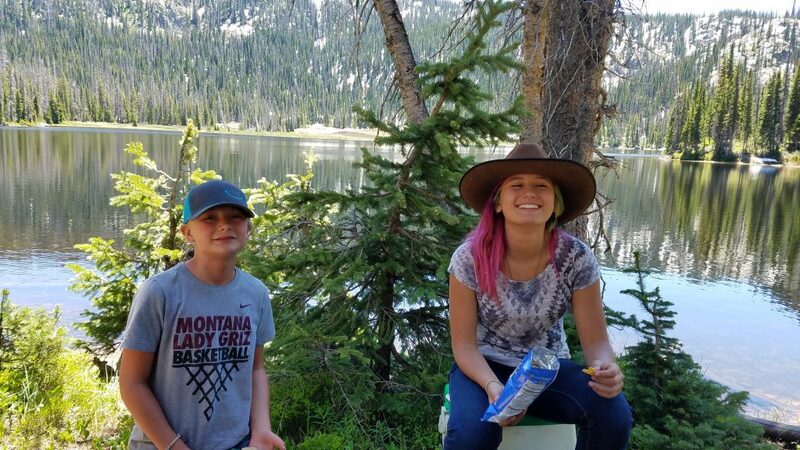 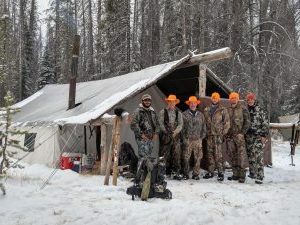 For the more adventurous, we also run pack trips into the Wilderness.